I was responsible for the sports organization and I was in charge of 16 teams, with all their technical staffs, players, their families, their problems... a lot of work. This is why, nowadays, it’s very difficult to improve football because most clubs haven’t enough money to deal the necessary technical structure, so I tried but I didn’t get my goals. However, I really enjoyed this years. You've worked with Palamós CF, At. Segre, At. Monzón, and CD Binéfar - how would you describe your stints there? It has been a long time training youth teams, over 15 years, and I have great memories about them, but I also have bad ones. In Spain, the parents of the football players live the matches from outside the field as something personal, with too much intensity, and many times they lose their nerves and have very bad behaviors. As a result, players don’t have a good education. In other cases, some parents, who haven’t studied sports, think that they know more about football than the real trainer, but it isn’t... All of this makes me unhappy and disappointed with youth football academies. 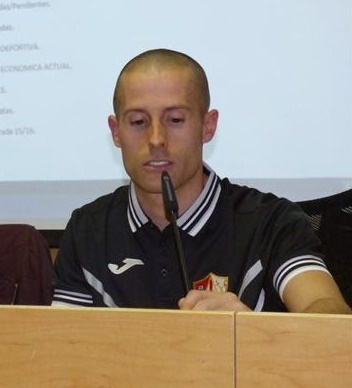 What were your initial thoughts when you got offered the head coach role at UD Barbastro in the Tercera? You took over the club at a very difficult time - did you think the club could stay in the Tercera or was the club already looking at spending a season in the regional leagues? I didn’t know all that was going to happen. Until Christmas time, there were good players who had lost most matches with little differences, but when I arrived, most players were sold to other teams because club needed money, so I had to accept to compete with a team formed by a little group of regional players. We knew that it meant we must think about spending next seasons in the regional leagues. Even with those players we got some points, so I’m very proud of our work that year. Given that you worked within what some would say is grassroots football, how well do you think experience in these leagues prepares players for higher level football, and how would you compare it with going through a top club's youth academy? I think Spain has good trainers now, but they are always training in good clubs. The local leagues don’t prepare players to reach a high level, only to compete between similar clubs. The player who wants to grow as a top footballer obviously needs to go to a top club’s youth academy, and not everyone has this chance. What kind of projects are you now working on or are interested in? One time ago, I would have like to train abroad, but with my experience I couldn’t go to any good team, and the regional football anywhere is bad paid, so I started working as a personal trainer and now I have a very good job on my own. What advice would you give to anyone trying the enter the football coaching arena? Fight! It’s difficult to get your goals. Nowadays, there is more and more competition. You need to study all as you can, and train and get experience to fight for your dreams. For me this is the only way. Football implies sacrifices (travel on weekends, short holidays, a lot of pressure...). I would like to have a family so I’m very happy with my present job! I play football, of course! I also travel and join my free weekends with my family, some things I couldn’t do before when I was coach. This interview was also published on LaLigaNews.co.uk. You can read it here.